I'm so happy to be here on this sunny morning, after horrible storms last night (and more severe weather predicted). I have been known, on occasion, to comment that our recently-built house lacks character, but last night as the winds were howling outside I felt so relieved that we were safe and warm and not worried about tiles flying off or water coming in. There's a lot to be said for that, and I appreciate my lovely home even more today as a result. As the year draws to a close, I've been looking over our photos and thinking how much things have changed. The children have grown up so much this year, D has thrown himself wholeheartedly into pursuing his ambitions, my Mum is relocating to live closer to us... a lot of change for our family. I'm making some notes of the things I'd like to achieve (or work towards) next year. Little Miss will be starting pre-school in February. Only for a few hours a week to start with, but this will mark a transitional phase for me - I've had babies/children at home full time for 5.5 years so it'll be very strange to have some hours to myself and to start thinking about any possible future career options - a return to the old one would not be possible or desirable, so I'm back to the drawing board. I'd be really interested to hear from anyone who started a second and completely different career after children. If that's you, I'd love to hear your experiences (either in the comments or by email if you prefer). While my little companion is asleep, I'll contemplate some more over a cuppa! Thanks for popping in today, hope to see you again soon. The puffs are looking excellent (I love that you snuck in one with your preferred colours too)! Can't help you with the career planning since I have no children (yet). I am looking for my first "real" job and I am wondering what my career will look like. It's an interesting journey that is exiting but it can also be very harsh. Times are far from perfect with Europe in crisis and many many students that seek the same thing. I love those puffs by the way, they are so hard to resist squishing. You have soooo many, 120....woow. I have to speed knit to catch up ;-). I so identify with your post today. I would like to get back to my old profession but have had no luck at all so far with job applications. I have given myself a deadline, if I don't have a decent job by September then it is back to the drawing board for me as well. I actually turned an offer down today because it wasn't what I wanted to do and I'm not going to compromise at this point or there will be no turning things around. Perhaps we will be able to cheer each other up if the going gets tough. It sounds as if we are facing a very similar (and potentially exciting) situation. Lovely puffs. No children, so I can't help out with the other part :). Before I had my son I worked for a small trucking company and did a lot in the office from driver payroll to accounts receiveable. You name it I did it. Now I am a guest teacher as they now call them (a substitute). I am doing everything I can to work into a full time job at a local school. I know what you mean about not going back to your old career. For me that would be a big NO THANK YOU!! I did have my previouse employer call me a year or so ago, before my son started school, and ask me to come back part time. As I had no one to keep him it could not happen. I praise God that it didn't too. I miss some of the people but I don't miss the job stress. All I know to say is when little miss goes off enjoy your time of quiet and know that you are bless to be a SAHM. Becuase even though it is not easy to be a SAHM, like everyone who is not one seems to think, it is rewarding. Have a great day. My first thought is for you to do something involving organisation, ideas, pretty things and lists. Maybe a wedding planner?? @Natasha, *shudder* NO WAY!!! (a) I'd have to deal with BRIDES!!! (b) I'd have to deal with Mothers of the Brides *double shudder* - no, no way José, nope, never! Aside from opening your own wool/craft shop, you could just work in one. I went in to one in cardiff the other day and they were just sat around knitting. Looks easy. I know exactly how you feel, I'm coming to the end of my third maternity leave. I have previously returned when the boys were 1. There is no way I can go back to my previous job. 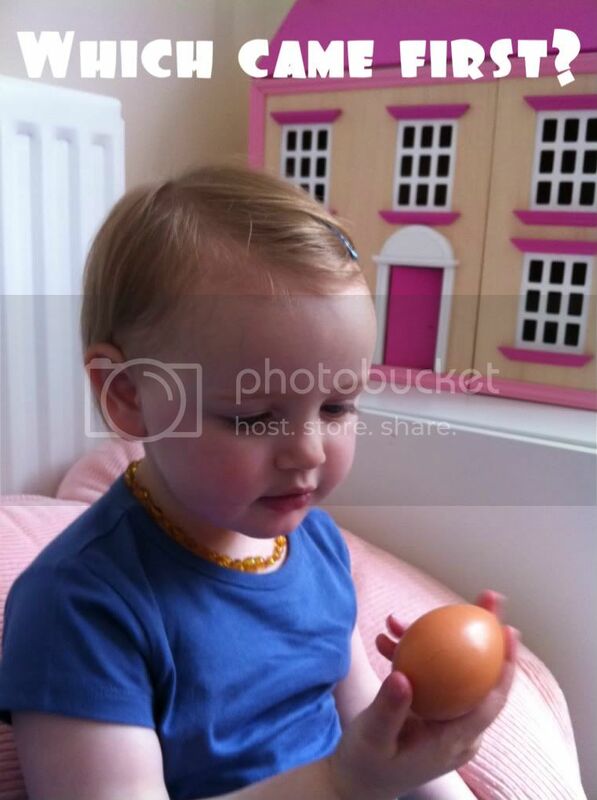 Childcare is so expensive in London and tripled is shocking!! I loved my job but am looking forward to spending some more time at home with my little girl, but I will also have to get back into the working world eventually. Just make sure it's something you love! It's such an exciting time for you. My youngest will start elementary school next Fall. And I'm supposed to decide if I want to go back to teaching. I've pretty much decided I won't b/c of how time-consuming such a job is. And I also feel it's a bit of another chapter in my life as I want to do some designing. Your puffs are adorable. I will make this project one day next year. Etsy is also a good site for selling things on. 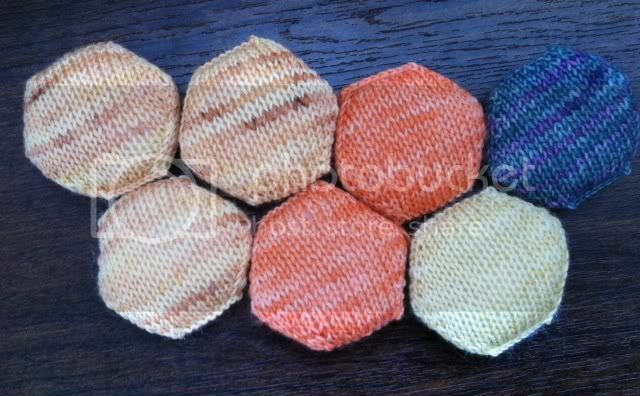 Your hexipuff projects going really well, good on you for having done one every day this week! Sadly I have no kids yet so I can't really help job wise, I work in IT which is probably the most dull job ever for most people but I'm a bit of a nerd so I quite like it! I'm loving the hexipuffs - they'll definitely be on my list for next year! I found it really strange once all my four children were at school - takes some getting used to.